Given the prevalence of mental illness worldwide, it is important to better understand the dynamics of mental health help-seeking behavior to improve access to care. 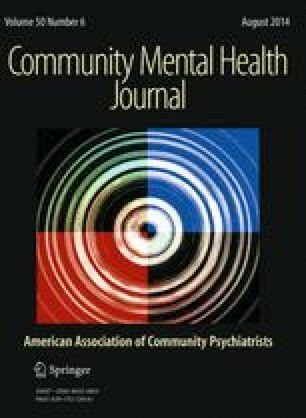 The aim of this study was to investigate if general self-efficacy (GSE) was associated with self-reported mental illness and help-seeking behavior and barriers to care in a randomized population. This study utilized a mailed questionnaire completed by 3,981 persons aged 19–64 years who resided in Western Sweden. GSE was measured and logistic regression models calculated, controlling for various sociodemographic variables. Results showed that 25 % of men and 43 % of women reported a lifetime prevalence of mental illness that they felt could have benefitted from treatment. Of those, 37 % of the men and 27 % of the women reported barriers to care. Men and women with low GSE were more likely to suffer from mental illness compared with persons high in GSE, but GSE did not enhance help-seeking behavior or perceived barriers to care. The most prevalent barriers to care for both sexes were beliefs that the illness will pass by itself, doubt whether treatment works, lack of knowledge of where to go and feelings of shame. Overall, GSE scores did not differ among those who experienced various barriers to care with the exception of two barriers only among women. Greco, A., Steca, P., Pozzi, R., Monzani, D., D’Addario, M., Villani, A., et al. (2013). Predicting depression from illness severity in cardiovascular disease patients: Self-efficacy beliefs, illness perception, and perceived social support as mediators. International Journal of Behavioral Medicine. doi: 10.1007/s12529-013-9290-5.